Things move pretty fast in Captain America’s world and if you take your eyes off the prize for even the briefest of moments, you’re more than likely going to be left behind, frantically attempting to chase after the red, white and blue hero as he surges forward and ever onward. I’d only just got used to the fact that Sam had replaced Steve Rogers (after the latter’s super-soldier serum had been deactivated by the Iron Nail) and now Steve Rogers is not only Cap again, but he’s also Hydra’s most valued asset. And Standoff is the story of how Steve not only returned to duty, but also how he became an agent of that most insidious terrorist organisation. Or rather, it lays the framework for the Hydra tale, while also being a rather involving, intricate and moving story of what it means to wield the shield as Captain America and how fulfilling that role transforms those assume the mantle. 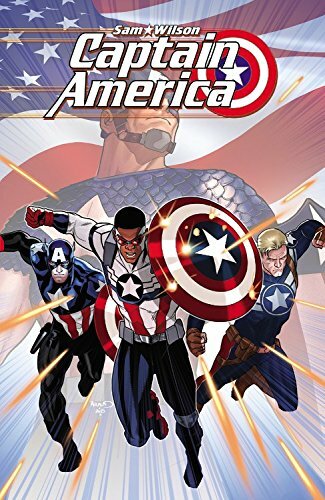 Right about now, I guess you’re asking yourself why I’m talking about Steve Rogers when this book bears Sam Wilson’s name. You’re right to ask, and the reason is… Captain America isn’t just about Sam. It isn’t just about Steve either. 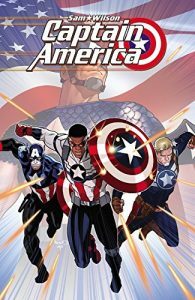 It’s also about Bucky (and every other individual who has carried the shield into battle) and tells the story of how each of the last three men to have been (and two who continue to be) Captain America react to their discovery of S.H.I.E.L.D.’s dirtiest secret, Pleasant Hill, how each deals with the revelation of the highly illegal and morally questionable super-villain prison’s existence and the often complex and evolving relationships and friendships that tie them together.